Chances are you know and love the Caribbean. Why shouldn’t you? The string of islands are relatively close, are home to beautiful hotels, and the iconic sugary beaches and blue waters take on every hue of blue in the Crayola 64-pack. But here’s something you may not know: There are approximately 28 island nations and more than 7,000 individual islands in the Caribbean. So when you say you've done the U.S. Virgin Islands, Jamaica, Aruba, and the Dominican Republic, that’s all well and good, but I’m here to tell you about a few hidden gems that you'll find are the Caribbean’s best kept secrets. This archipelago off the coast of Venezuela is chock full of smaller islands to explore. It consists of 350 islands, cays, and islets that span more than 40 square miles. Good to know: Los Roques is popular among a wealthier crowd, who like to take their private yachts and dock for a little boat-side swim. If you’re vacationing in Caracas, Los Roques makes a popular (and easy) day trip. Wildlife lovers will also love the destination, as the entire archipelago was deemed a national park back in the 1970s. As a result, it's home to a wide array of birds and marine life. This tiny island is an up-and-comer in the eyes of tourists. 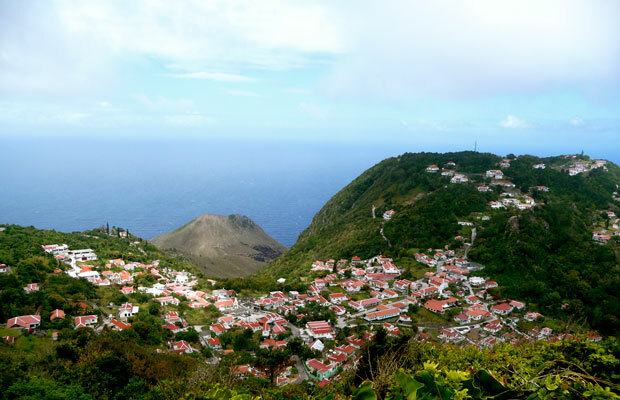 Off the coasts of Saint Martin/Sint Maarten and Saint Barths, Saba receives just 25,000 visitors each year. Divers, this destination, in particular, ought to be on your radar, as it's often heralded as one of the top 10 diving destinations in the world. In 1987, the waters around the island were deemed the Saba National Marine Park, which has led to a highly preserved coral reef and marine environment. There's also plenty to do on land with unique climbing and hiking opportunities. To visit Saba, travelers can fly in and out of St. Maarten and Sint Eustatius. A ferry service is also available from St. Maarten, which travels to Saba three times a week. Everyone knows big brother Grand Cayman, but perhaps even more unique and beautiful is Little Cayman, an island about 60 miles from its better-known relative. 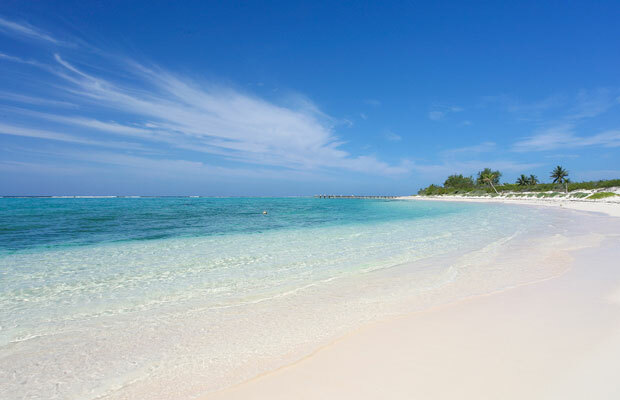 If for no other reason, come to Little Cayman to scuba. Its most famous dive sites are Bloody Bay and Jackson’s Bight. Visitors to Little Cayman also make the boat trip over to Owen Island, which is only accessible by boat, kayak, or standup paddleboard. Because of the lack of buildings (or humans in general), Owen proves to be very popular among honeymooners looking for a true escape. Located in the West Indies as part of the Grenadines, Mustique is one of the most exclusive and beautiful islands in the Caribbean. The island is privately owned by shareholders of the Mustique Company, which represents 17 countries. Only 1,200 people actually live on the island, and it hosts a maximum of 500 tourists at a time. Translation: This is one of the most VIP-like vacations you can take. The island has nine beaches and 1,400 acres, and with such a small population year-round, you're sure to find the intimate beach nook you’ve been looking for. 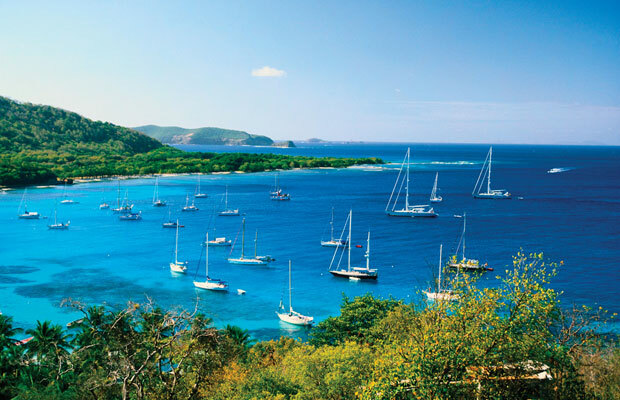 Travelers looking to book a trip to Mustique should fly into either Barbados or St. Lucia. It is then an hour-long flight to Mustique on Mustique Airways. Also near Venezuela is Bonaire, just 38 miles from Curacao. This island has been, and continues to be, recognized as one of the top diving destinations in the region, as well as one of the best islands for sustainable tourism. While visiting Bonaire, a trip to Washington Slagbaai National Park is a must. This park is home to 189 species of birds and offers impressive landscapes like cliffs, valleys, and beaches. Also good to know: The water around Bonaire has been designated the Bonaire National Marine Park. The southern part of the island is home to massive salt flats, which are flamingo nesting grounds. Travelers can fly into Bonaire via Arkefly, Continental, Delta, and KLM airlines. 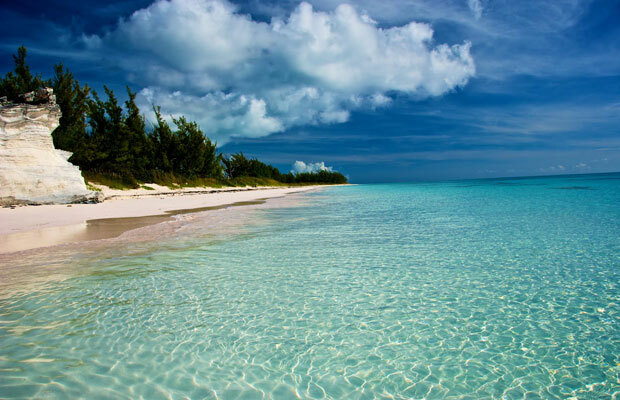 A far cry from Nassau, Paradise Island, Eleuthera is a lesser traveled island in the Bahamas chain. You’ve heard of the famed pink sand beaches of the Caribbean, but on Eleuthera you can actually walk along them. There's also a multitude of coral reefs, a top draw for snorkelers and divers. Earlier this year, the island celebrated the rebirth of a local icon: The Cove. This 40-acre resort of cottages and villas is one of the top resorts on the island. There are three airports on Eleuthera: North Eleuthera Airport, Governor’s Harbour Airport, and Rock Sound Airport. Though once a hidden gem of the Caribbean, it might not be long before you start hearing Grenada mentioned regularly by those looking to visit the Caribbean. 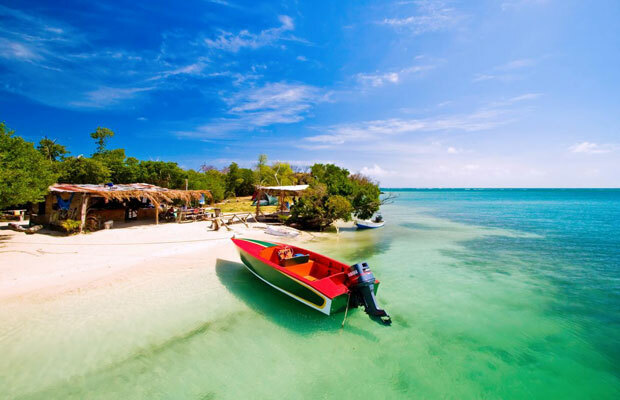 As of this year, the island is aggressively pursuing new flight options in the wake of Sandals Resorts International’s plans to debut a resort there this December. For now, the original "Island of Spice" is known for its beaches, ecotourism, and its production of organic cocoa. Its better-known neighbors include Trinidad and Tobago, Venezuela, and Saint Vincent and the Grenadines. Travelers are most likely more familiar with Barbuda’s sister island, Antigua, which has been welcoming its fair share of luxury travelers for years; only recently has Barbuda nudged its way into the spotlight. Some of the island’s most popular activities include snorkeling, fishing, diving, bird watching, and golfing. Bird lovers flock to Barbuda for the Frigate Bird Santcutary, which sits on the island’s northwestern lagoon (only accessible via boat). Here, birdwatchers can peek at more than 170 species of birds. Unlike Antigua, Barbuda will continue to remain relatively undeveloped, making it an even more relaxing getaway in a destination packed with places to relax. 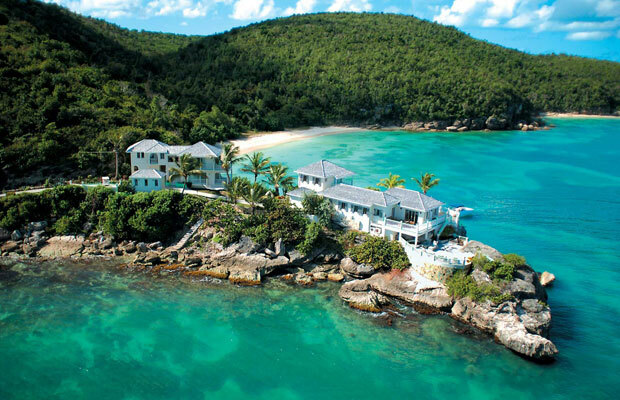 Still, like Antigua, the hotel options tend to swing toward the higher-end. 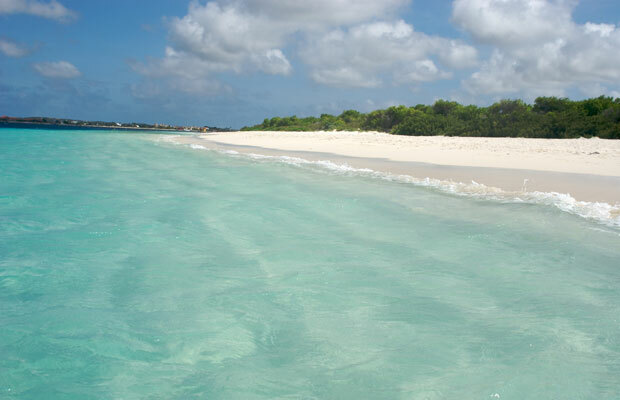 Travelers can reach Barbuda easily from Antigua via a 20-minute flight or a three-hour boat ride.